In response to the recent measles outbreaks within the United States, the CDC has issued an official Health Advisory. 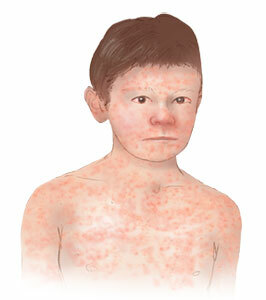 We have updated your KidsHealth “Measles” article to help you spread the word to your patients, families, and the communities you serve, that measles is a serious disease. cases drop dramatically, saved lives, and prevented outbreaks. As a KidsHealth Educational Partner, please feel free to feature the content both on- and off-line, as well as through your social media outlets.